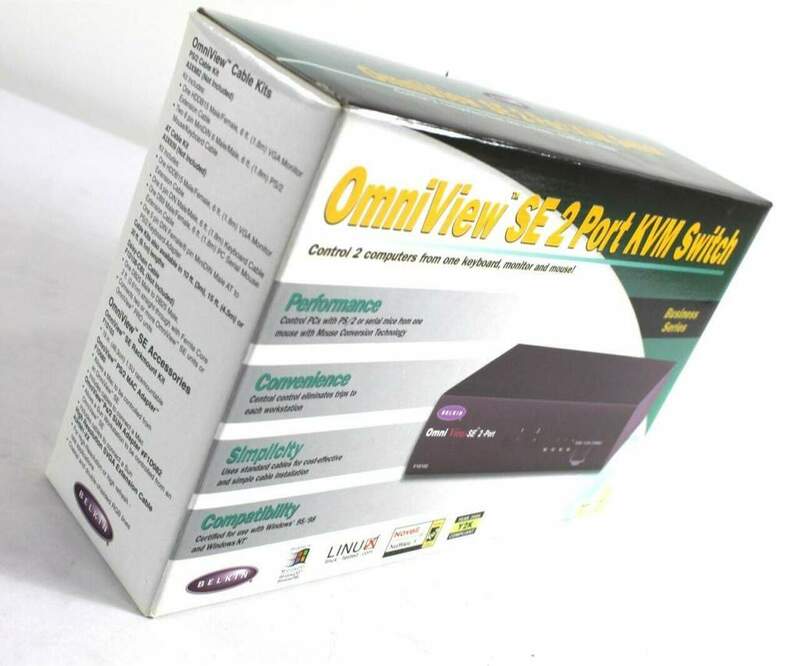 This Belkin OmniView SE F1D102 KVM switch allows you to control two computers from one keyboard, monitor and mouse! 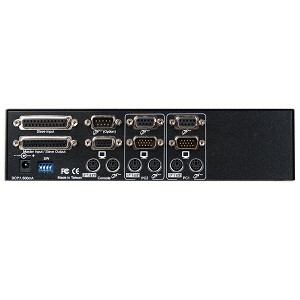 With its integrated mouse conversion technology, you can use either a Serial or PS/2 mouse (please note cables are NOT included). 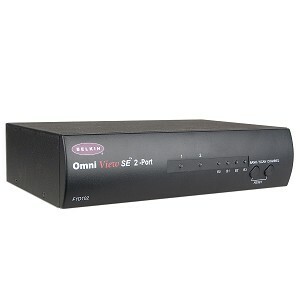 The OmniView SE, when used as the central control, eliminates trips to each workstation. Other features of the F1D102 include push button hot key or auto scan switching and keyboard and mouse emulation for error-free boot-ups!